When the NBA announces its All-Rookie teams this May, Hawks guard Kevin Huerter deserves to get one of the coveted spots. Let's take a moment to examine a few of the reasons why Huerter merits such an honor. To review how the process works, five players are chosen for the All-Rookie First Team. Another five players are chosen for the All-Rookie Second Team, so ten players in total get some variation of All-Rookie honors. Playing positions hold no relevance, so essentially the criteria should be to pick the ten best rookies. Standouts Trae Young and Luka Doncic figure to be 100 percent locks to make the First Team; it will be interesting to see the direction that voters take with the other eight, but Kevin Huerter certainly deserves to be one of them. Here are a few of the reasons why he has earned it. 1) The raw totals: Huerter currently ranks eighth in total minutes played (2018), ninth in total points (710), 11th in total rebounds (240), sixth in total assists (211), and seventh in total steals (64). If one is squeamish about using statistical totals versus per-game or per-minute stats, one factor worth consideration is that Huerter made enough positive contributions to merit the playing time that allowed him to build those totals – and he has been more than efficient in the minutes that he has received. 2) Positive contributions: What is even better than raw totals? Playing good basketball. Basic counting statistics are great, but just as important is making the other basketball plays that contribute to winning, like getting to the right spots on defense, not turning the ball over, and being enough of an offensive threat that teams have to commit precious defensive resources to guarding you. Kevin Huerter is a multi-talented basketball player who does all of these things, and the Hawks have played better as he has taken on a more prominent role. The team has a 25-33 record in games that Huerter starts; in games where Huerter comes off the bench or does not play, the Hawks are 4-19. The same comparison bears out in the on-off statistics for the Hawks. 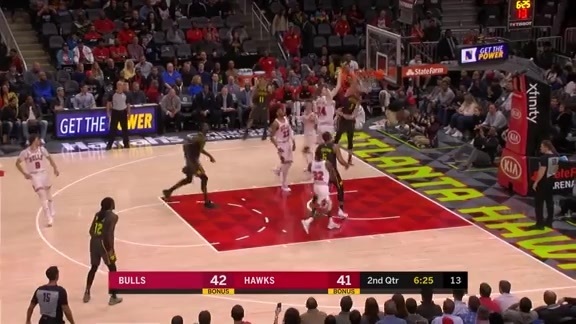 With Huerter on the floor, the Hawks have a net rating -2.6 points per 100 possessions. With him off the court, they have a net rating of -8.3 points per 100 possessions. 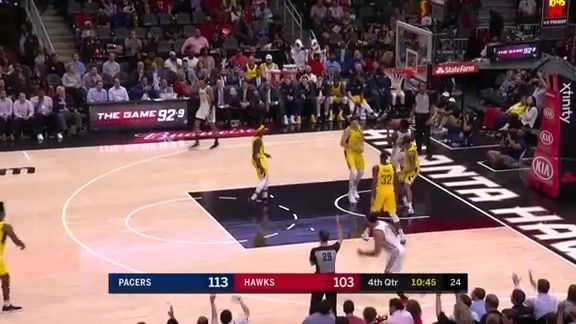 Essentially, the Hawks have been almost 6 points per 100 possessions better with Huerter on the floor. For a rookie to have that kind of impact on success on the on-floor NBA product is borderline preposterous. Beyond the numbers, it is clear from the eye test that defenses respect Huerter's range, and consequently, Huerter's ability to take shots from well beyond the three-point line has helped his teammates by stretching opponents much further from the rim than they ever wanted to go. According to Basketball Reference, Huerter has made 31 of the 75 shots that he has taken between 27 and 40 feet from the rim (41.3 percent). For players who have attempted as many of those long threes as he has Huerter has the best conversion percentage in the league. 4) Secondary playmaking: Huerter ranks sixth among rookies in total assists (211) and tied for sixth among rookies in assists per game (2.9). 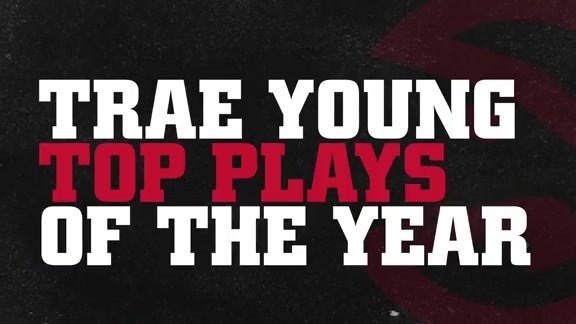 All of the players who rank above him are either point guards, like Trae Young and Jalen Brunson, or primary ballhandlers like Luka Doncic and Shai Gilgeous-Alexander. Conversely, Huerter is compiling impressive assist numbers without having the ball in his hands as often as those players have it. Huerter has also done it without turning the ball over a ton. With 211 assists and 106 turnovers, Huerter has an assist to turnover ratio that is a whisper from being a 2 to 1 ratio. In an evolving NBA where it has become ever more important than ever to have more than one ballhandler on the floor at all times, Huerter is poised to take on that sort of responsibility. The 2018 NBA Draft class is one of the deepest draft classes ever, yet the Hawks were still extremely fortunate to be able to draft Huerter with the 19th overall pick. To his credit, Kevin Huerter has risen from that draft spot and played well enough to deserve an honor that is bestowed only on the season's ten best rookies.